With the closing of the comment period yesterday on a PCAOB proposal that would significantly change the auditor’s report, comments from investors, auditors, preparers and others ranged from extreme criticism to extreme praise. 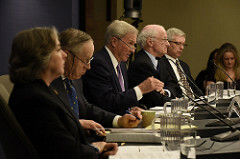 Although most commenters concurred the current model of the auditor’s report could be improved, and many supported the PCAOB’s continued efforts -through an initial Concept Release and proposed standard, to the May, 2016 reproposal – to evolve the concept of Critical Audit Matters (CAMs) forming the centerpiece of the proposal, the harshest criticism from some commenters was reserved for CAMs. “As a result,” concludes ABA’s Gullette, “ABA recommends that the PCAOB suspend this project,” and recommends certain actions taken by the PCAOB instead, including if other types of disclosures could address the issues the PCAOB was aiming to get at with CAMs. Jack Ciesielski, CPA, CFA, President of R.G. Associates, publisher of The Analyst’s Accounting Observer and a frequent member of FASB and other advisory committees, favors the proposal, and responds to perhaps the greatest argument against the proposal: whether, and how, investors will use information supplied by CAMs. Global investment management firm Capital Group, in their letter signed by accounting analysts Dane Mott and Elizabeth Mooney (a current member of the PCAOB’s Standards Advisory Group), strongly supports the PCAOB’s proposal, arguing for its expansion. Read more about auditors, preparers and others comments on the proposal in Part II in this series, including investor comments calling for removing materiality thresholds from determining CAMs, and proposed disclosures regarding auditor independence and audit firm tenure.